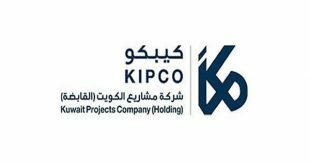 KUWAIT CITY, May 13: KIPCO — the Kuwait Projects Company (Holding) — announced a net profit of KD 5.64 million ($18.8 million), or 1.53 fils per share ($0.51 cents), for the first three months of 2018, an increase of 11 percent over the KD 5.07 million ($16.9 million) reported in same period last year. 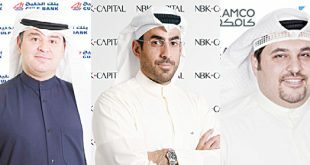 During the first quarter of 2018, the company’s operating profits before provisions reached KD 23.5 million ($78.4 million), compared to KD 23.6 million ($78.7 million) in the first quarter of last year. 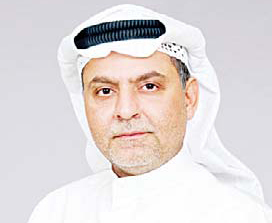 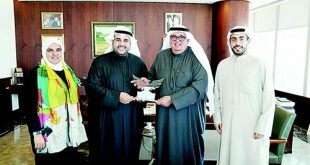 The company also reported a 13 percent rise in its total revenue from operations during the first quarter of 2018, at KD 171 million ($570.5 million) from KD 151.5 million ($505.4 million) reported for the same period in 2017. 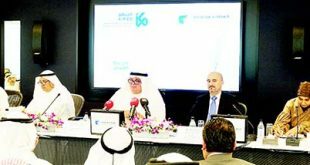 KIPCO’s consolidated assets stood at KD 9.8 billion ($32.7 billion) compared to KD 10.3 billion ($34.4 billion) reported at year-end 2017.